The task of preparing and delivering a weekly homily can paralyze even the bravest seminarian. Sermons that Connect can help. A simple, nuts-and-bolts guide, it provides new preachers with a simple and effective model for powerful and compelling sermons. It then shows preachers how to flesh out sermons in a simple step-by-step process that is insightful and painless. 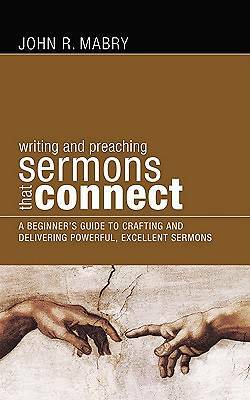 As a beginner's guide, it provides in one sitting everything someone will need to create meaningful sermons for years to come. For those who have been preaching for a while, it will be equally instructive, helping preachers polish their sermons into even more effective works of art, providing invaluable suggestions for recognizing and articulating the essential elements of good sermons.